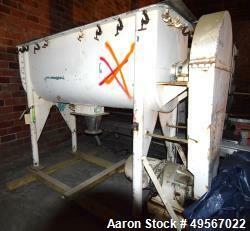 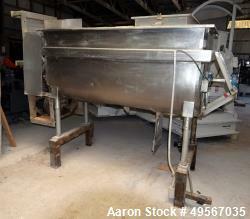 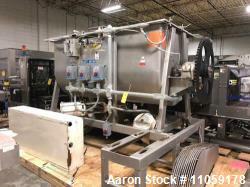 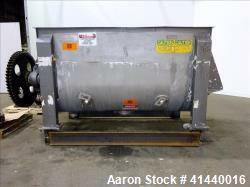 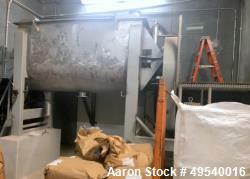 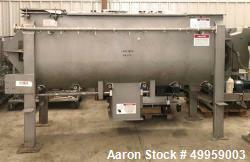 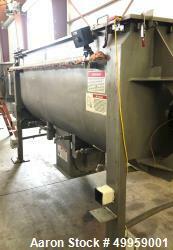 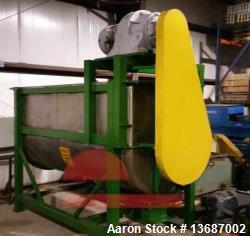 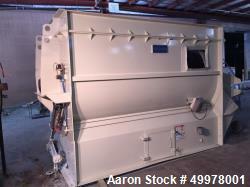 New- Paul O. Abbe Model IMB-100, 100 Cubic Foot working capacity Ribbon Blender. 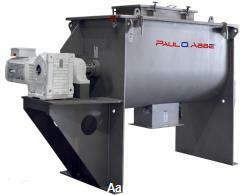 New- Paul O. Abbe Model IMB-100, 100 Cubic Foot Working Capacity Ribbon Blender. 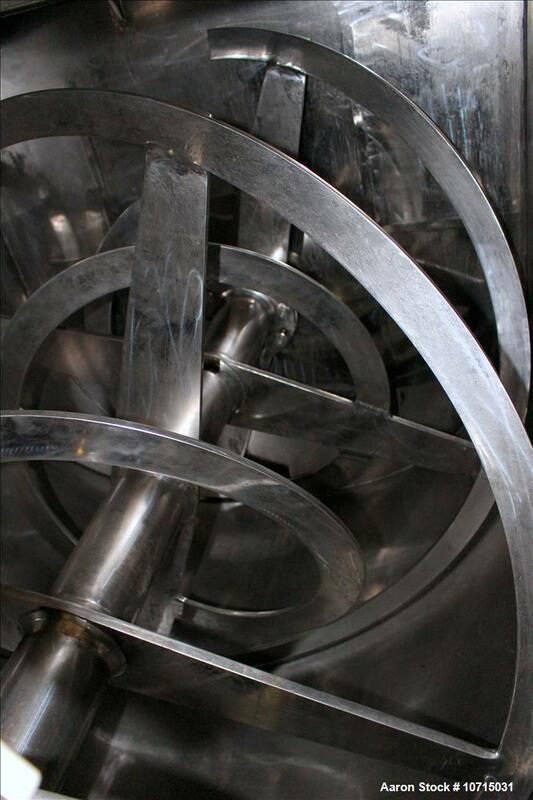 304 Stainless Steel, Polished Finish Interior and Exterior. 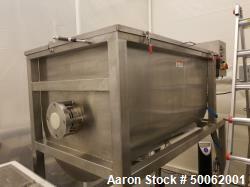 Inside Trough Measures 46" Wide x 96" Long x 51" Deep. 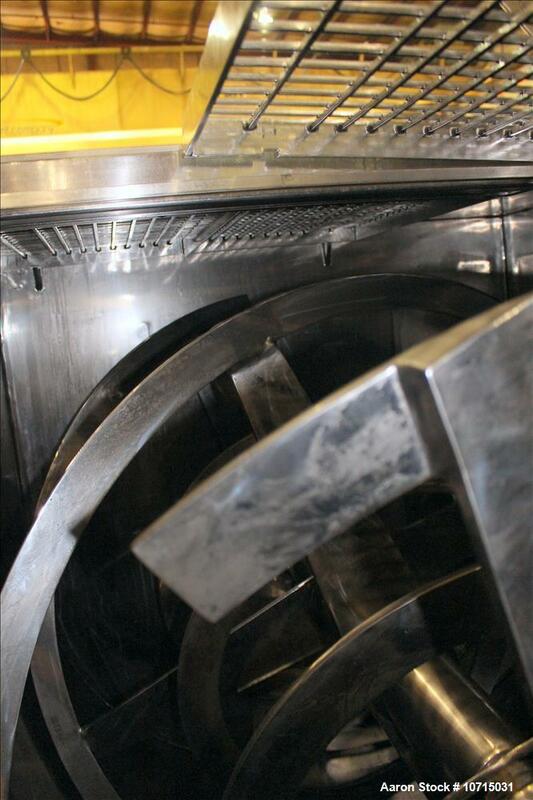 8" Center Bottom Outlet with Air-Operated Slide Gate Valve. 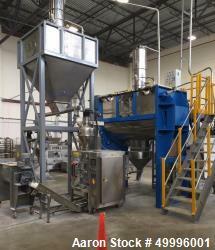 Top Cover with Safety Grate. 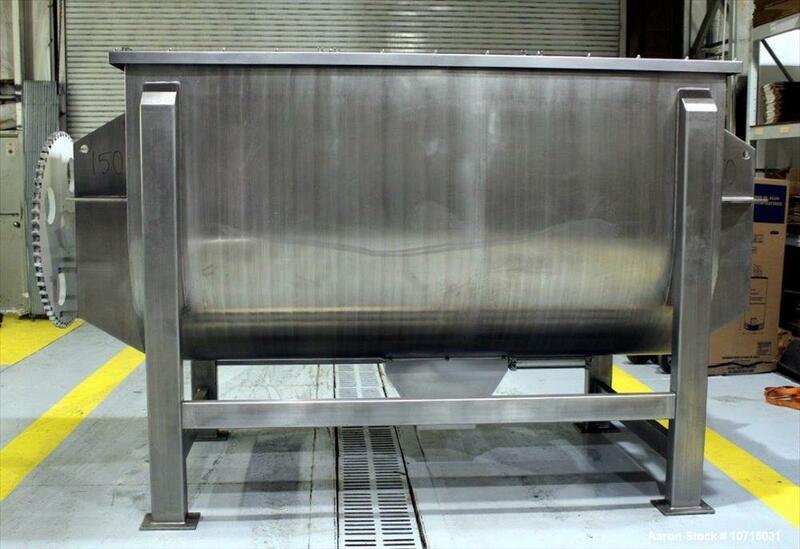 All external stiffeners, legs, ribs and supports are constructed of 304 Stainless Steel. 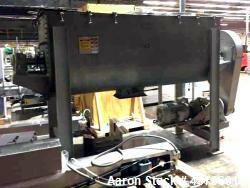 Double Spiral Ribbon Design Agitator, 304 SS Construction. 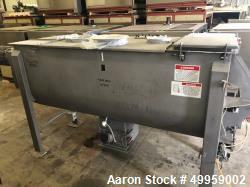 30 HP 3/60/230-460 volt, TEFC Motor. 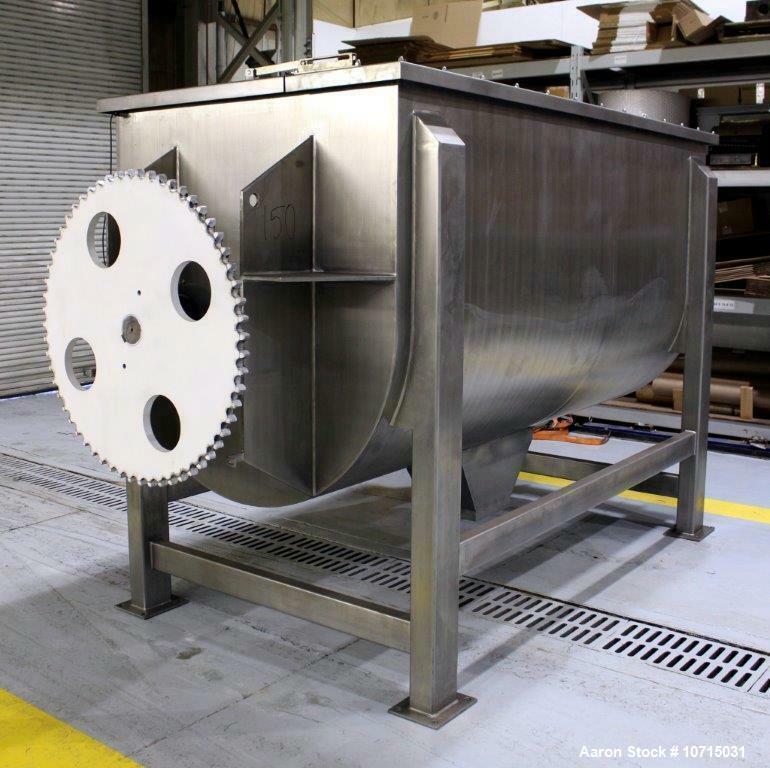 Chain and Sprocket Driven with 304 Stainless Steel Chain Guard. 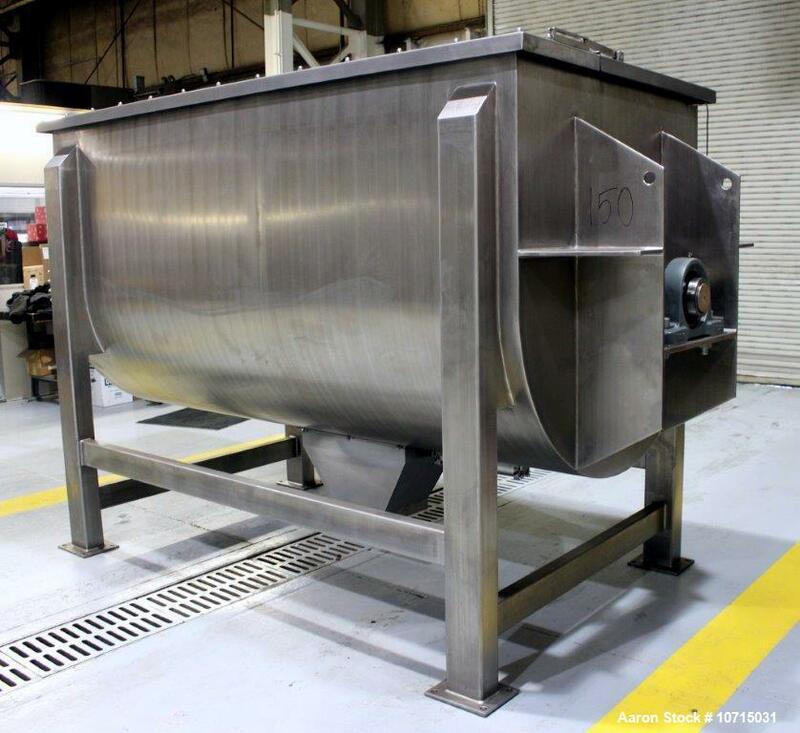 Allow approximately a 4 Month Delivery from receipt of purchase order, 30% deposit and signed approval drawing & application form.1 Year Warranty.